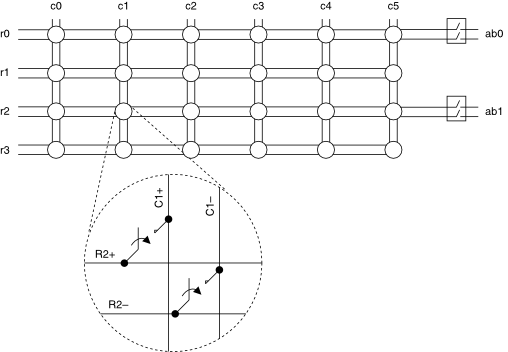 4-wire mode is usually used in 4-wire resistance measurements. 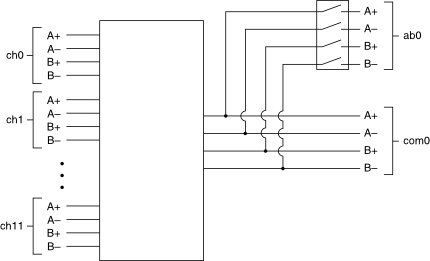 One pair of wires supplies the excitation while the other pair makes the voltage measurement. 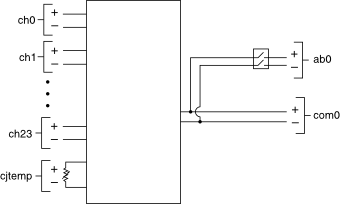 In 4-wire mode, connect your excitation or source leads to CHxA+ and CHxA-, and connect your measurement or sensing leads to CHxB+ and CHxB-, as shown in the following figure. 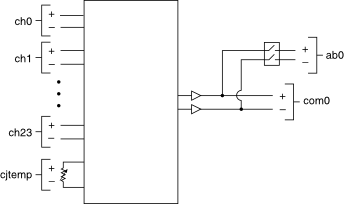 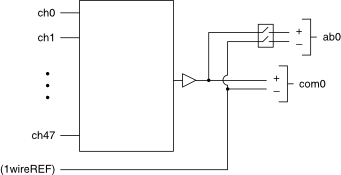 The previous figure shows the DMM connected to the analog bus (AB) of the switch module. 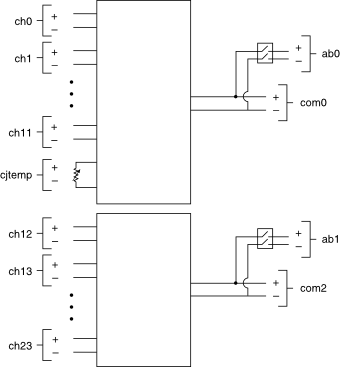 Instead of routing signals to the AB, you can connect COM0A+ and COM0A- to the excitation terminals and COM0B+ and COM0B- to the sense terminals of the DMM.